In all of its programs, Trees for Missoula seeks to improve our City’s environment, build community and connect Missoulians with the natural world and each other. After proper planting, formative pruning is one of the most important steps in tree maintenance. Formative pruning young trees enables them to develop functional and durable branch structures that in maturity will be free from major physical weaknesses and able to support the flow of nutrients and energy reserves. 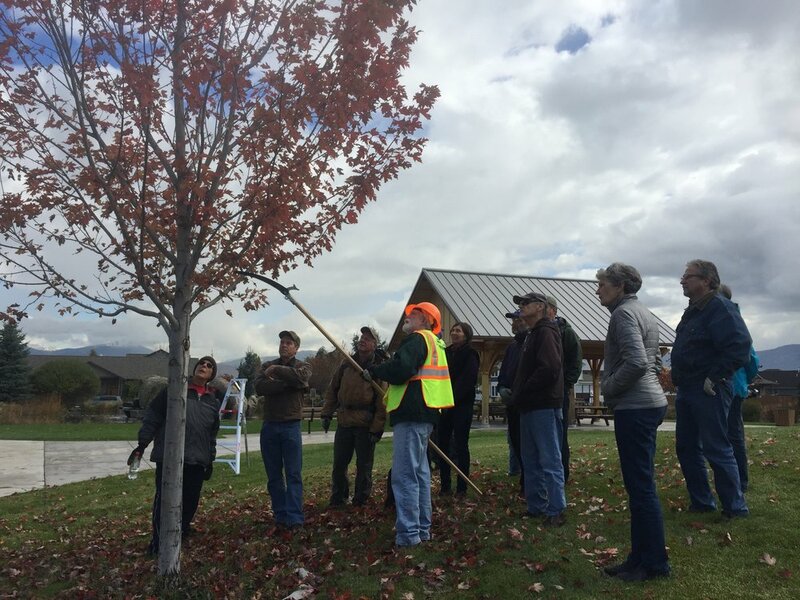 The 2015 Missoula Urban Forest Master Management Plan identifies formative pruning as a need that can be addressed by a trained volunteer corps, so in October 2015, Trees for Missoula (TFM) and City of Missoula Urban Forestry Division (UF) trained the first class of Volunteers in Pruning (VIPs). VIPs are trained to use proper pruning techniques, the five-step method and optimal pruning timing. In exchange for training, VIPs are asked to prune city trees for 25 hours (no time limit). UF certified arborists guide VIPs in pruning every Wednesday afternoon during the late fall and winter months. Since 2015, volunteers have pruned 1,765 city trees. If you would like your name on the list for the next class in October (TBD), please complete the volunteer form. "THE BEST TIME TO PLANT A TREE IS 20 YEARS AGO OR TODAY." Want to plant a tree for our community? Trees for Missoula (TFM) would like to help! TFM has partnered with the City of Missoula Urban Forestry Division (UF) to provide tree-planting opportunities for volunteer citizens. Bare-root trees that have been heeling in at the Missoula Urban Forest Gravel Bed all summer are perfect for early fall planting, just as the temperatures are starting to drop. The Arbor Day Foundation has chosen October to be NeighborWoods Month, a month dedicated to planting and caring for community trees. TFM has brought NeighborWoods Month to Missoula, and each year, volunteers take action to make our community greener and healthier by planting trees—keeping their neighborhoods vibrant. LEARN HOW TO PROPERLY PLANT A TREE AND HELP YOUR COMMUNITY! We are currently planning our tree planting events for October. If you or your group would like to plant trees for Missoula, please complete the volunteer form. Trees for Missoula (TFM) strives to increase public awareness regarding the importance of trees in the urban environment, including their social, economic and environmental benefits. TFM also provides instruction on proper planting, pruning and watering techniques. If you are interested in learning more about the proper planting and maintenance of trees, you can find it here. 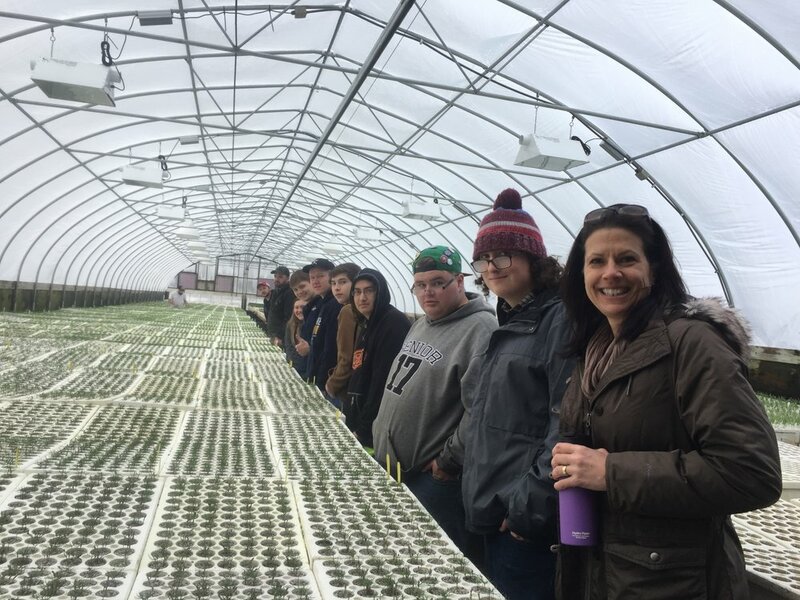 Trees for Missoula (TFM) was invited to teach urban forestry to the Missoula Agriculture Center students during the winter/spring 2017 semester. Specialists from TFM, the City of Missoula Urban Forestry Division (UF), the Department of Natural Resources and Conservation (DNRC), MSU Cooperative Extension Service and local community all served as valuable resources. Students learned the basics about trees and their proper care and participated in volunteer activities in the urban forest. TFM looks forward to continuing this program and would love to reach out to even more students. If you are a student, parent or educator interested in bringing urban forest curriculum to your school, please contact us.